The Moush Valley is located in the Armenian Highlands, nestled midway down the stream of the Eastern Euphrates. It was once part of the Daron Province of historic Greater Armenia. On the eve of the Armenian Genocide, Moush, densely populated by Armenians, was one of the centers of Armenian life in the Ottoman Empire. 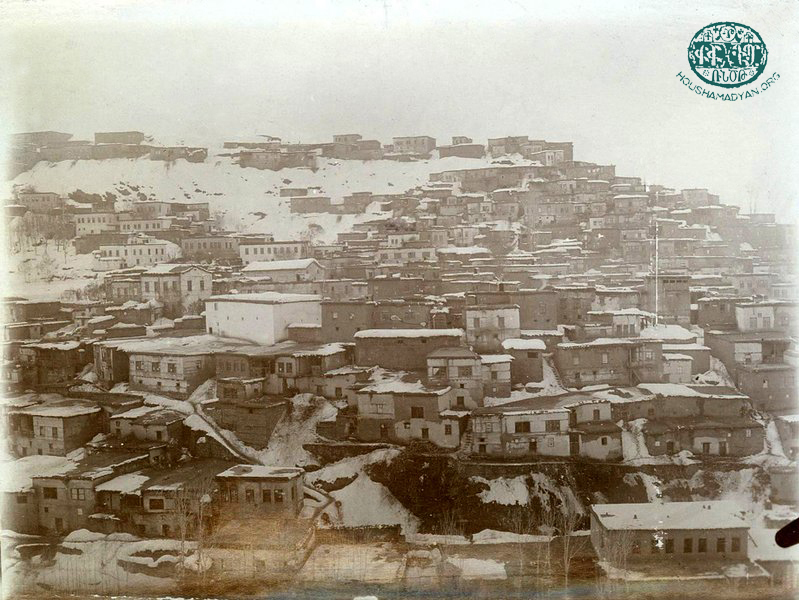 Within the administrative system of the Ottoman Empire, the City of Moush, and the valley around it, were the capital (merkez) of the Moush District, which itself was part of the Bitlis Province. According to a census commissioned by the Armenian Prelacy of Moush, on the eve of the Genocide there were 106 Armenian-populated towns and villages in the district, consisting of 10,726 households, for a total population of 96,082 Armenians. In the City of Moush proper, the Armenian population numbered 12,000 . The City of Moush and the Valley in general were swept in the rebirth of the Armenian educational system in the Armenian Highlands and the Ottoman Empire, which began in 1863, after the enactment of the Armenian National Constitution by the Ottoman authorities. 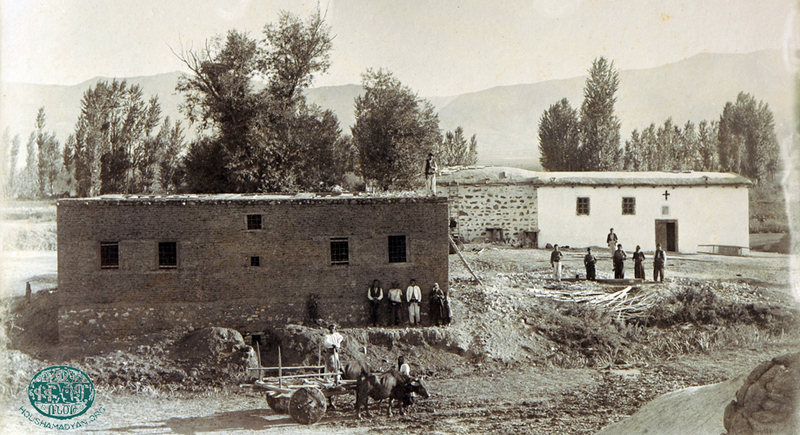 By the 1870s, many schools were already operating in the cities and villages of Western Armenia. There were both secular and parochial schools; neighborhood and village schools; vocational, liturgical, and specialized schools; and there were kindergartens, grammar schools, and secondary schools . The educational initiatives of the Armenian Apostolic Church were regulated by guidelines published by an educational committee that functioned under the aegis of the Patriarchate of Constantinople . For financial support, most of the Armenian educational institutions in the Ottoman Empire depended on the Patriarchate in Constantinople, neighborhood church committees, philanthropic organizations, and individual philanthropists. In many cases, schools did not have stable financial backing, which often resulted in their sporadic and irregular operation, particularly in rural areas. In 1863, a total of three schools were open in the City of Moush - the St. Marine Neighborhood School, the Tsor Neighborhood School, and the Upper Neighborhood School . By the end of the 19th century and the beginning of the 20th century, there were already seven Armenian schools open in the city under the aegis of the Armenian Patriarchate, of which five were attached to neighborhood parishes; one was a girls' school established thanks to the trust of Hovsep Izmiriants in 1884; and one was the Central School, which, unlike the parish schools, provided post-elementary education. In addition to these schools, two orphanages operated in the city, and were supported by the Patriarchate . Another prominent educational institution in the city was the Mkhitarian Order's Catholic School (the Mourad-Mkhitarian School) . 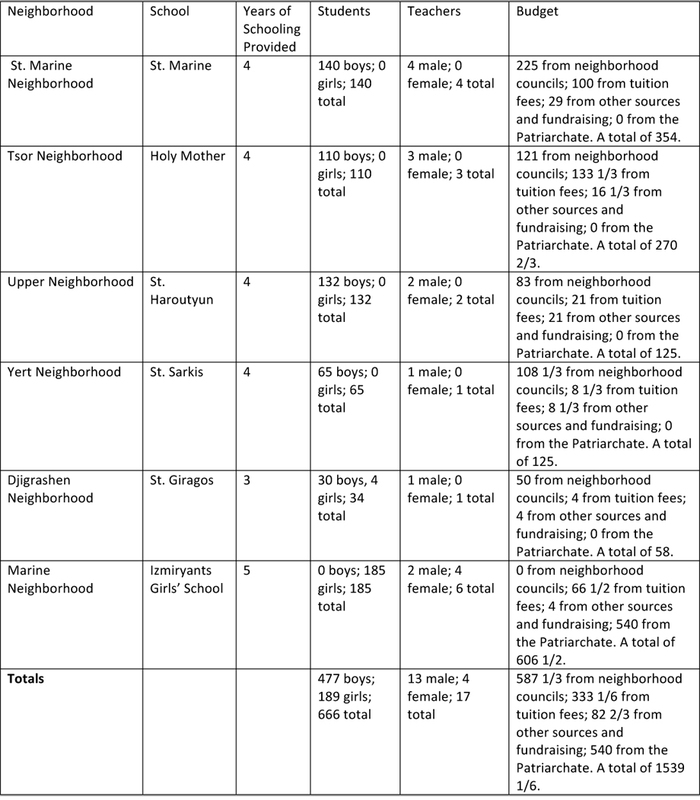 According to statistics from 1899, the five neighborhood parish schools across the city were the Upper Neighborhood School, the Tsor Neighborhood School, the St. Marine Neighborhood School, the Purd Neighborhood School, and the Djigrashen Neighborhood School. The above-mentioned girls' school continued to operate. In 1899, a total of 721 students were enrolled in these schools (see table below). In addition to these schools, the Mourad-Mkhitarian School continued to operate in 1899, as did the Armenian Protestant community’s school, located in the St. Marine Neighborhood . In the 1901-1902 academic year, the Protestant school had an enrollment of 15 students . The curriculum of neighborhood parochial schools included grammar, spelling, the Psalms, prayers, and hymns. Older students were taught the Nareg [the ancient Armenian prayer book authored by Saint Gregory of Nareg], Chamchian’s Armenian grammar, and the Bible . 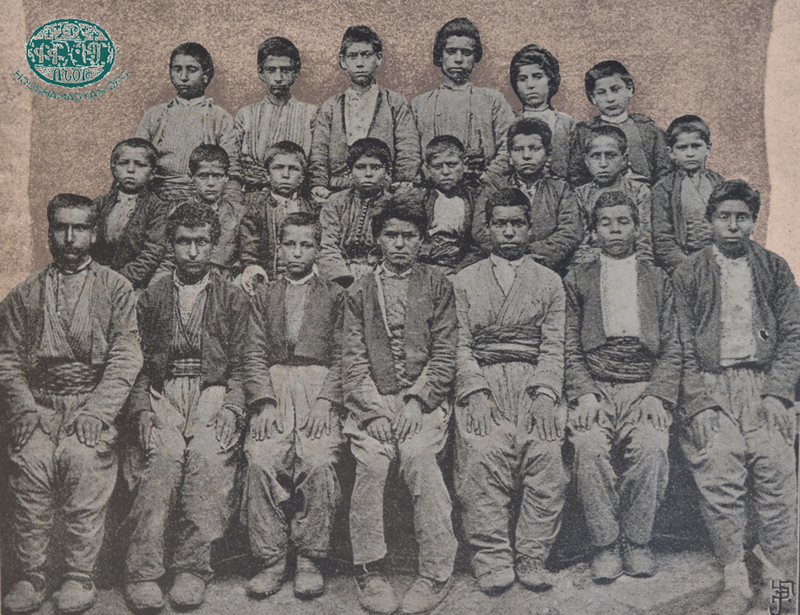 According to the Survey of Armenian Parochial Schools in the Provinces of Turkey, published by the Armenian Patriarchate during the reign of Patriarch Maghakia Ormanian, the total number of students enrolled in Patriarchate-affiliated school in the City of Moush was 666. These students were under the tutelage of 17 teachers (see table 2). All of the schools listed above continued to operate until the annihilation of the Armenian population of Moush during the Armenian Genocide in 1915. After the Young Turks revolution in 1908 and the Ottoman constitutional reforms, the Armenian educational system in the Moush area enjoyed a period of revival. New schools were opened, and existing schools were expanded. A general administrator was appointed for all Patriarchate-affiliated schools. 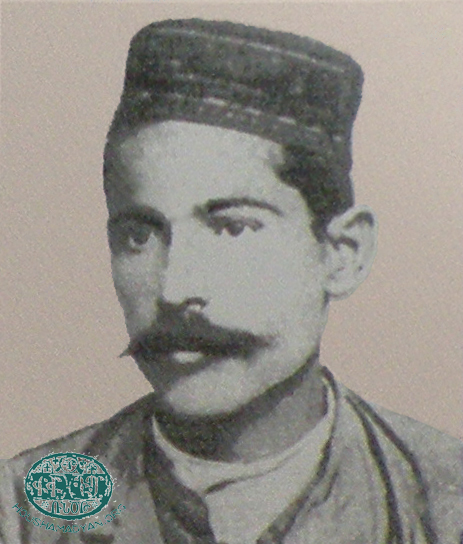 In the years 1909-1911, this position was occupied by one of the important activists of the Armenian Revolutionary Federation, Simon Zavarian . After the Young Turks revolution, the educational system affiliated with the Protestant Armenian Church also expanded in the Moush area. Thanks to contributions from German missionaries, a Protestant orphanage was founded in the city in 1913, and was opened on the eve of the Christmas holidays. Soon, the community was also able to obtain premises to operate two separate schools, one for boys and one for girls, serving 198 pupils (60 boys and 53 girls from the orphanage, and 95 other pupils from the city). These schools employed seven teachers, and beginning in the fourth grade, the pupils were taught German . 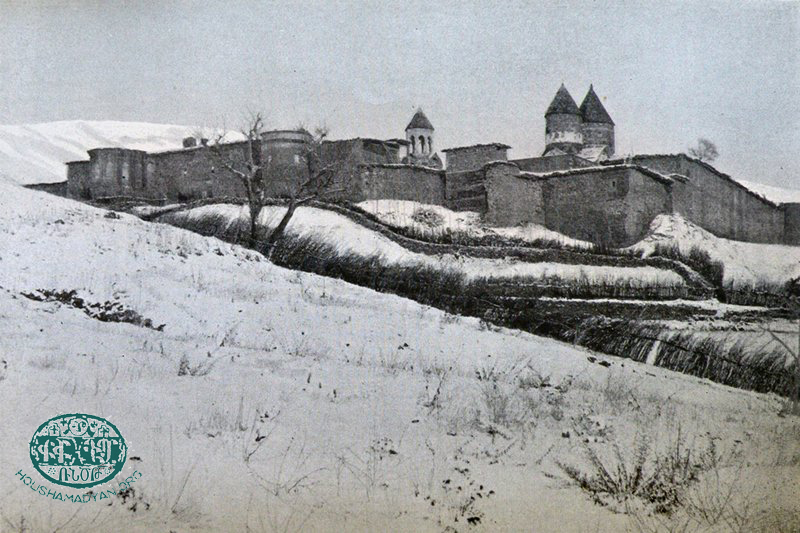 The National Central School of Moush (also known as the Nersesian School, after Nerses Varjabedian, Patriarch of Constantinople) was, at the time, one of the best schools in Western Armenia, and boasted of an excellent pedagogical team. The school was founded in the autumn of 1878 by the United Association . 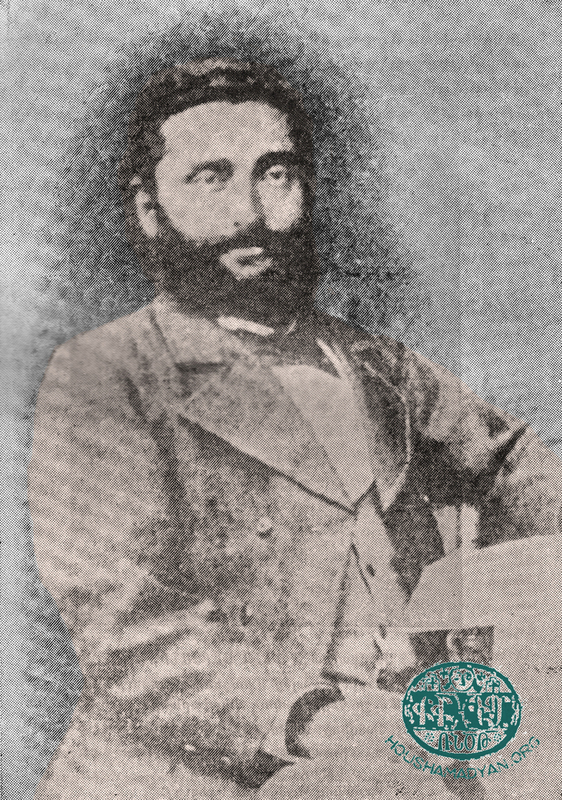 Between 1879 and 1884, the position of headmaster was occupied by the prominent intellectual Mgrdich Sarian, who, at the time, was at the peak of his intellectual abilities. The school occupied a newly built two-story building in the Tsor Neighborhood, and featured large, sun-drenched rooms, filled with the most cutting-edge equipment and amenities . The faculty consisted of graduates from schools in Constantinople and the Euphrates College in Harput . 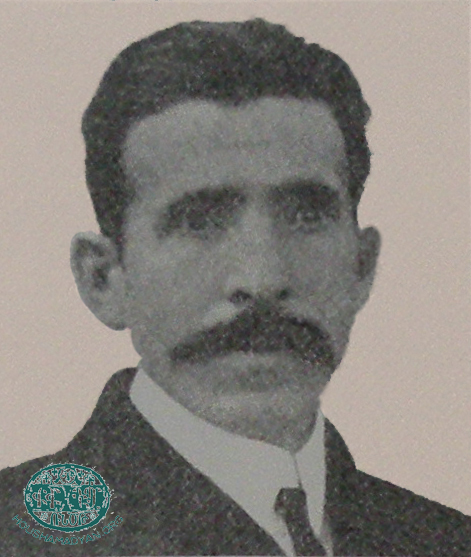 Hampartsoum Berberian was considered the best teacher on the faculty, and he was later appointed headmaster, succeeding Mgrdich Sarian . Students were in classes for six hours each day, and the curriculum was based on modern textbooks supplied by the United Association. The Central School was funded by the United Association, and also received some assistance from natives of Daron who had migrated to Constantinople, and had formed a chapter of the United Association there, with the goal of contributing to the advancement of the Daron Province . The Central School catered not only to students from the City of Moush and its environs, but also from Sasoun, Hınıs/Khnous, and other areas. In its first year of operation, the school admitted about 80 pupils , and in later years, its enrollment reached 150 . The first graduating class, numbering 15 graduates, received diplomas in 1883. In 1884, the school graduated 15 students. Many of the graduates, in their turn, traveled to the countryside of Moush, where they worked as teachers in many of the newly opened schools . Celebrated figures who matriculated at the Moush Central School include the ethnographer, philologist, pedagogue, and community activist Sahag Movsisian (Pense) ; fedayee leader and military strategist Hrair Tjokhk; fedayee Hagop Godoian; author, scion of Armenian rural literature, journalist, and political activist Kegham Der-Garabedian (Kegham of Moush); orator, editor, commentator, and translator Kalousd Andreasian; pedagogue and cleric Antranig Sayian (Father Oshagan Sayian); and many others . The Central School’s most prolific period of activity was between 1880 and 1884. As the school continued to cement its reputation among the people, the pressures on it from the Ottoman authorities increased exponentially. Specifically, the drills that the students performed during their outdoor exercises, which often included marches to the tune of the anthem “What is our Land Armenia?”, were seen by the local Muslim population as attempts to provide martial training to the pupils . An eyewitness, and himself a graduate of the Central School, Sarkis Pteyan, remarks that the school, which offered a level of education commensurate with European standards, also aroused the envy of the local Turks – “The Turks, aside from one or two medreses, did not have any other schools, nor did they make efforts to establish one” . Particularly galling to the Turks was the behavior of the schoolmaster, Mgrdich Sarian, who was known as an Armenian patriot. In late 1884, the schoolmaster was arrested and accused of “sedition”. Upon his release, he was forced to resign from his position, and to leave Moush . In 1885 the schoolmaster was Hovhanness Berberian, who was soon also forced to resign and left for Constantinople. As eyewitness Sarkis Pteyan writes in his memoirs – “Thereafter, others were given the position… But they were unable to stay long, and did not maintain the school’s standards” . In 1895, the year of the Hamidian massacres and pogroms, the United Association was forced to suspend operations. Consequently, all educational institutions that were being supported by it were forced to close down, including the Central School of Moush . The Armenian educational infrastructure in Moush would have to wait until the constitutional reforms of 1908 to experience its rebirth. The United Association, which was also revived at that time, reopened the Central School of Moush on January 1, 1909 . In the 1909-1910 academic year, the school had 165 students (and 7 teachers); in the 1910-1911 academic year, 122 students (8 teachers) . The Central School continued to operate until 1915. The Mourad-Mkhitarian School was one of the most notable schools in the Moush area. It was located on St. Marine Neighborhood, in a building adjacent to the Armenian Catholic Patriarchate . Initially, the school offered only elementary classes, providing a basic modicum of education for the area's children. Fortunately, in the second half of the 1890s, the Prelate of the Catholic Church in Moush, His Holiness Nerses Djndoyan, was able to convince the Mkhitarian Order in Venice to donate significant sum to the school from the Mourad-Mkhitarian Trust. Thanks to this contribution, the school expanded and began offering mid-level education to pupils. 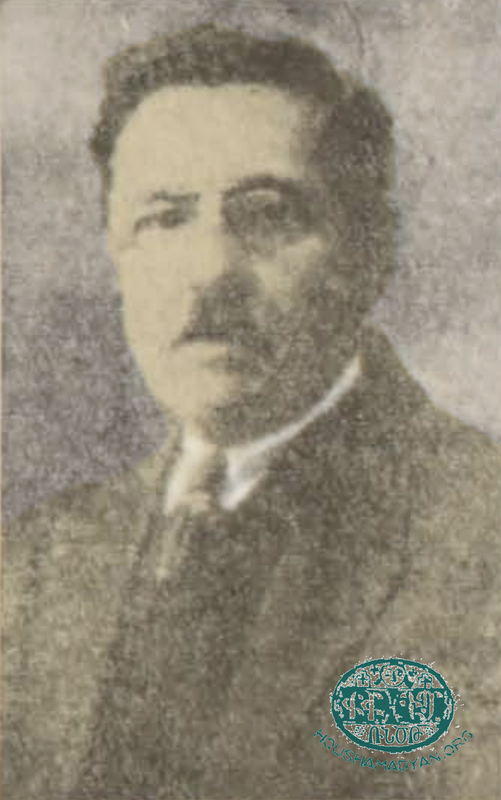 The prominent Armenian intellectual Garo Sassouni, himself a graduate of the Mourad-Mkhitarian School, commented on the growing importance of the school within the educational infrastructure of Moush: "The number of students exponentially increased every year, and soon, the school was transformed into a prominent educational institution" . The newly re-founded school, in its first years of operation, in 1899, had 80 pupils. In the 1901-1902 academic year, enrollment rose to 120 , and in the 1912-1913 academic year, enrollment was 200 . Pupils were taught in three languages - Armenian, Turkish, and French. The curriculum included catechism, the classics, geography, natural philosophy, mathematics, history, art, and other subjects . 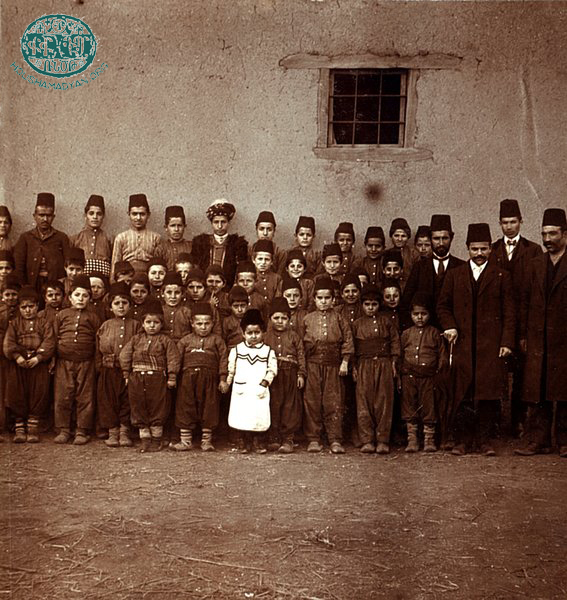 The school's faculty included monks of the Mkhitarian Order, as well as invited teachers and pedagogues, such as Kalousd Andreasian (the schoolmaster), Father Anania Kondakdjian, Father Andon Djndoyan, Kegham Der-Garabedian, Bedros Manasian, Heghlat Effendi, Moushegh Nalbandian, and others . In addition to the Mourad-Mkhitarian School, on the eve of the Genocide, the Mkhitarian Order operated three other schools in the Moush Valley – in the villages of Norshen (93 students), Arinch (40 students), and Oughounk (60 students) . In 1875, in Constantinople, a group of well-educated Armenian women founded the Association of Patriotic Armenian Women, which was the first of many such educational/social women’s groups in the Ottoman Empire. 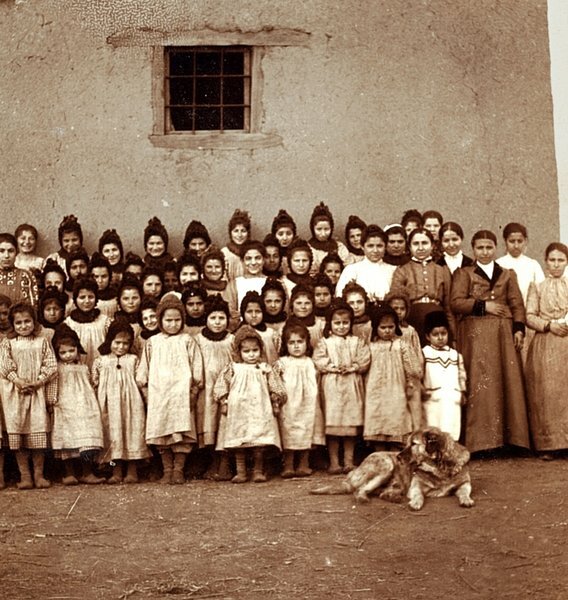 The association’s stated aim was to support the education of Armenian girls in the Armenian-populated provinces of the Ottoman Empire, through the establishment of educational institutions and the provision of continued support to them . The Association was active in Moush, where it founded a girls’ school in 1882 . The school was located in the Saint Marine Neighborhood . The first schoolmaster was Miss Agouline, and the faculty included teachers who had worked in Constantinople, as well teachers who had worked at the Moush Central School . In its first full year of operation (1883), the school already had 150 pupils. It offered four years of schooling . After the Hamidian massacres of 1895-1896, like many other Armenian educational and cultural associations, the Association of Patriotic Armenian Women had to cease operations. After a hiatus of 12 years, the Association was reactivated as a result of the liberalization and reforms across the Empire after the 1908 Young Turks revolution . Like many other establishments supported by the Association, the girls’ school in Moush was reopened. According to the institution’s 1910-1912 biennial report, enrollment at the school exceeded 300 young girls . The school featured a kindergarten, and an elementary school, itself divided into lower, middle, and higher classes. 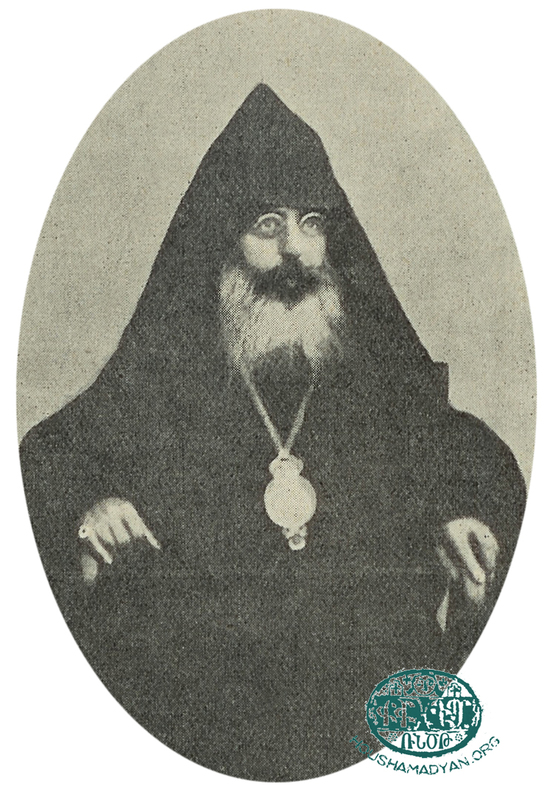 The Association’s elected representative in Moush was the Prelate of Daron, Archbishop Nerses Kharakhanian (1850-1915) . The school was led by its faculty, which included senior teachers Kevork Marzbedouni, H.Hamajian, and Mrs. V. Miridjanian . The School of the Saint Garabed Monastery in Moush was founded in 1850 by Abbot Zacharia Tavoyan. A building was specially built to house the school on the northern side of the monastery. The abbot that succeeded Zacharia Tavoyan, Archbishop Mampre Mamigonian initiated the construction of the school building, which was completed during the abbotship of Vartan Hagopian. 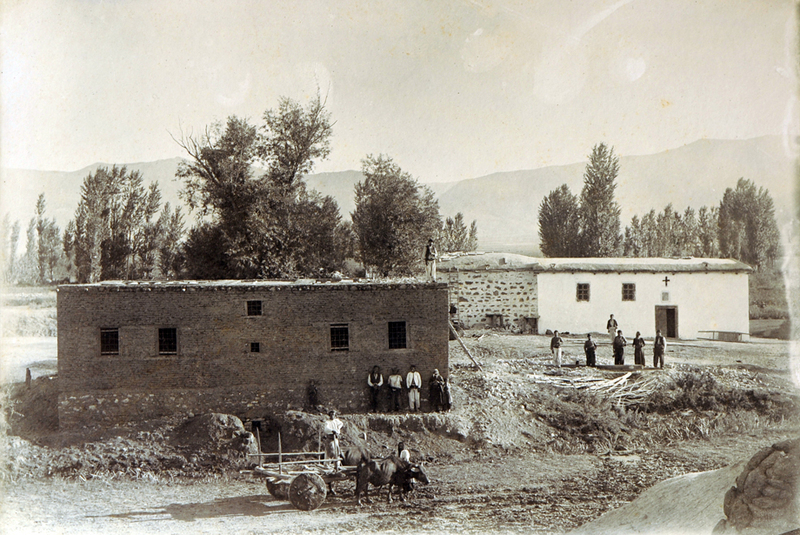 As a result of the Hamidian massacres, in 1898, the monastery also opened an orphanage under the aegis of the school, and the total number of pupils reached 50. In the 1901-1902 academic year, the school/orphanage had 45 pupils . However, in the following year, in 1903, the school was closed due to the Patriarchate’s inability to provide financial support to it . The Saint Garabed Monastery’s school was reopened in 1908 after the Young Turk revolution, and continued to operate until the eve of the Genocide. In 1913, its enrollment was 71 pupils . The School of the Monastery of the Holy Apostles was open before 1850, but was in a parlous state due to the lack of financial support. 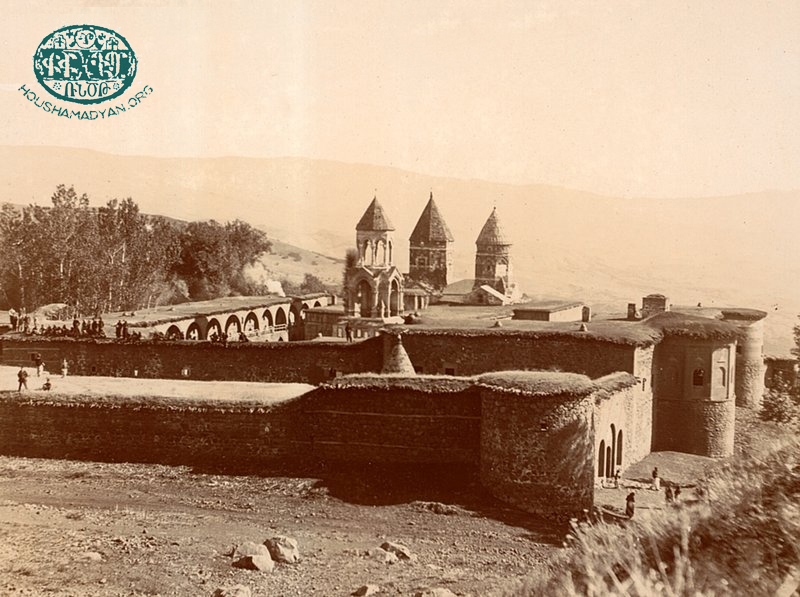 In 1856, Vartan Agha Mamigonian, a wealthy native of Moush, visited the monastery, and pledged enough funds to support the building of two dedicated rooms adjacent to the monastery, one to be used as a classroom and one as a bedroom for the schoolmaster. Additionally, he founded the Society of the Translators in Moush, whose stated aim was the raising of funds to support the expenses of the monastery’s school . In 1880, the Constantinople Vocational Society  established an agricultural school at the monastery. Initially the school was scheduled to operate for 15 years, but due to the insistence of the abbot, it was closed prematurely, and its students dispersed . As was the case with the Monastery of Saint Garabed, after the Hamidian massacres, in 1898, an orphanage was established at the Holy Apostles Monastery, initially serving 45 orphans with a faculty of three teachers. Bishop Gyuleserian suggested establishing a vocational school adjacent to the orphanage, where orphans would be taught weaving and tanning. However, this plan was never implemented. In the 1901-1902 academic year, the school/orphanage of the Monastery of the Holy Apostles had an enrollment of 57 pupils . 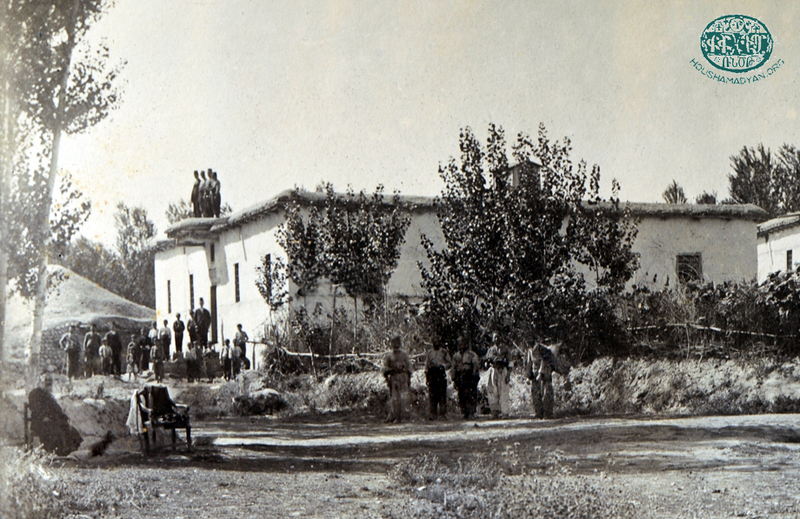 In 1903 the orphanage was relocated to Moush and was transformed into a workshop . In 1910 the school had an enrollment of 25 pupils . Another notable monastery in the Moush Province, The Saint Hovhanness Monastery, founded its school in 1858, thanks to the efforts of Bishop Arakel, who was able to secure the enrollment of 30-40 intelligent young pupils from the surrounding area. The school operated sporadically. We know that it was reopened in 1886 thanks to the generosity of a philanthropist by the name of Serovpe Efendi Gyulbengian . According to figures from 1910, the school/orphanage had an enrollment of 40 pupils . 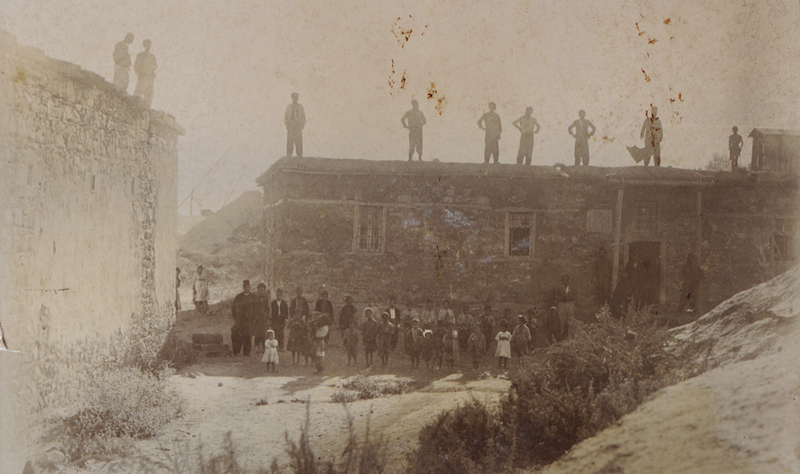 Beginning in the 1860s, village schools were established in various villages of the Moush Valley. They often operated sporadically, and many of them had short lifespans. Many were closed and reopened multiple times. 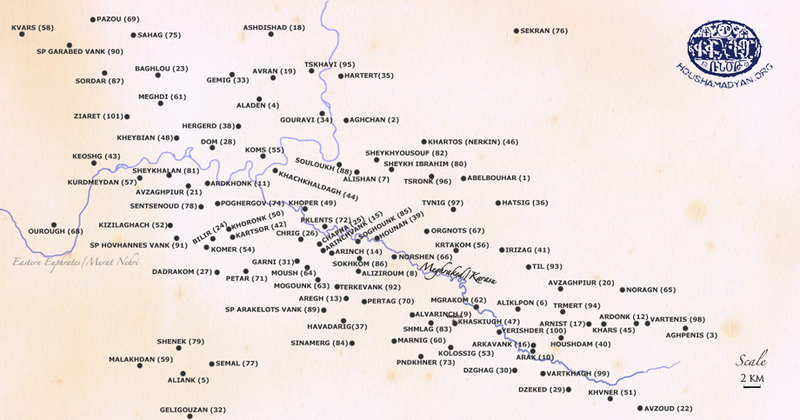 According to figures from 1863, schools operated in only four of the 100 Armenian-populated towns and villages in the Moush Valley (Zyara, Oran, Tsronts, and Chrig) . One individual, Karekin Servantsdiants, played a prominent role in the creation of the early educational infrastructure of the area. 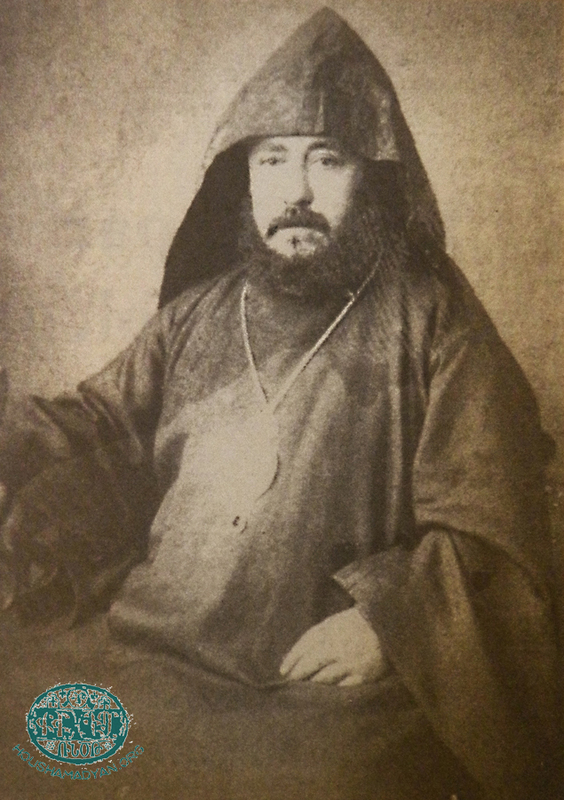 This prominent cleric was appointed as the vice-abbot of the Saint Garabed Monastery in Moush, and remained in that position from 1869 to 1872. 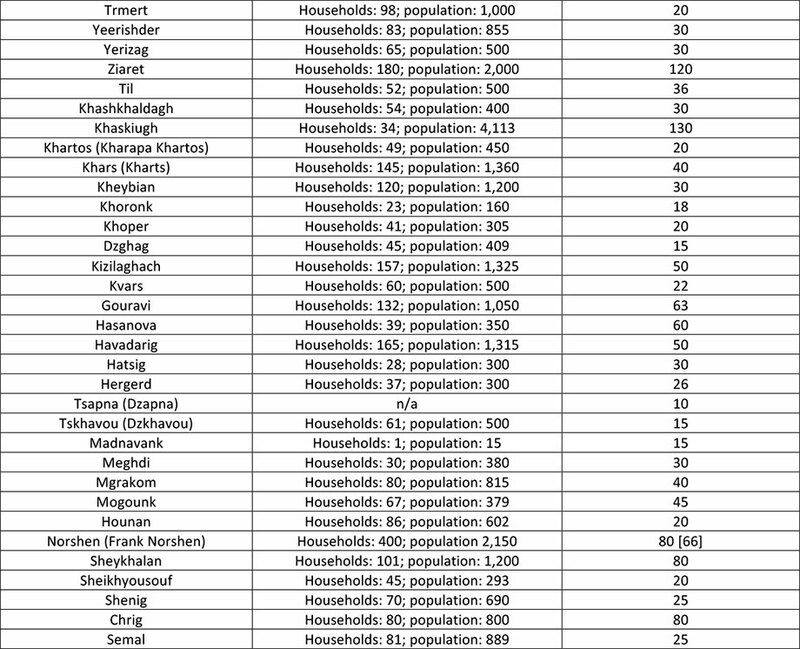 Thanks to his efforts, schools were established in 13 villages of the Valley between 1870 and 1872 (see table 3). Servantsdiants also helped establish schools in the Upper and Inner Bulanık/Boulanekh areas of the Moush province, as well in the Malazgirt/Manazged and Varto areas. Approximately 1,000 pupils were enrolled in Servantsdiants’s schools in Daron . Initially, classes were convened in barns or other attachments to houses. Beginning in the 1860s, schools began acquiring separate buildings. Generally, the village priest was the schoolmaster, and typically, pupils were only taught basic literacy. Schoolmasters and teachers, where they were present, were usually the second-most-respected people in the village, ranking only below the village priest. Each household would try to honor the schoolmaster by offering him the best gifts they could afford, in addition to the utmost respect . The Ottoman authorities conducted a census of Armenian schools in 1902, during the reign of Archbishop Maghakia Ormanian. 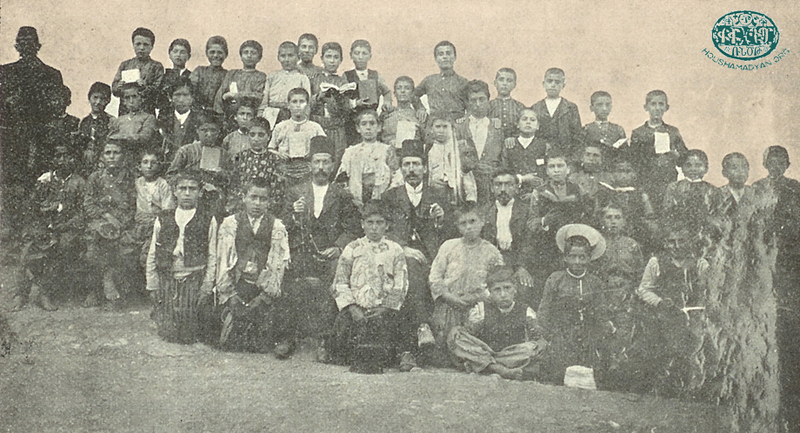 According to the figures, in the 1901-1902 academic year, Armenian schools operated in 17 villages of the Moush Province. The number of pupils was 652, of which 557 were boys and 95 were girls. Schooling was offered usually for only one year, sometimes for two years, and rarely for three (see table 4). Like in most of the Moush Province, the Armenian educational infrastructure experienced a renaissance after 1908. 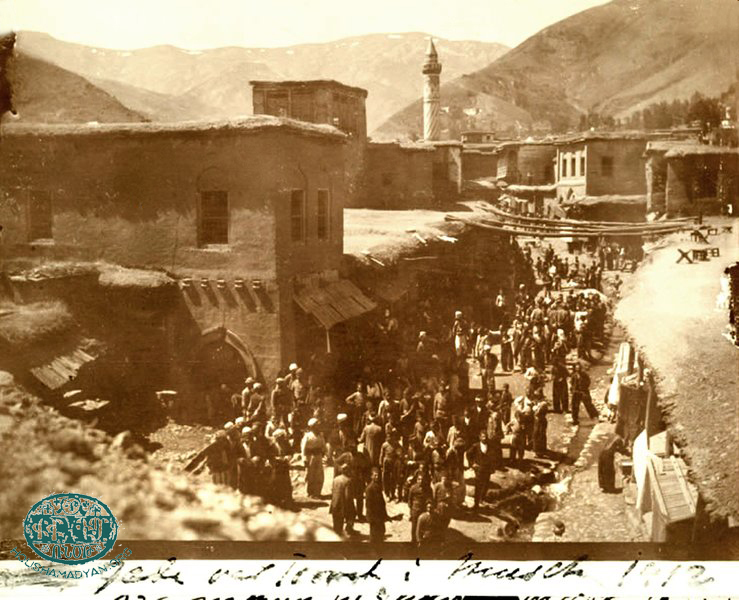 Groups that supported educational institutions were reactivated (the United Association, The Association of Patriotic Armenian Women, etc), and these groups were extremely active in the villages of the Moush Province. According to reports of the United Association, on October 1, 1909, the Association opened a school in the Vartenis Village. In the 1910-1911 academic year, 122 pupils were enrolled at the school, and the staff numbered four (three faculty, and one caretaker) . New schools were also established at a frenetic pace. 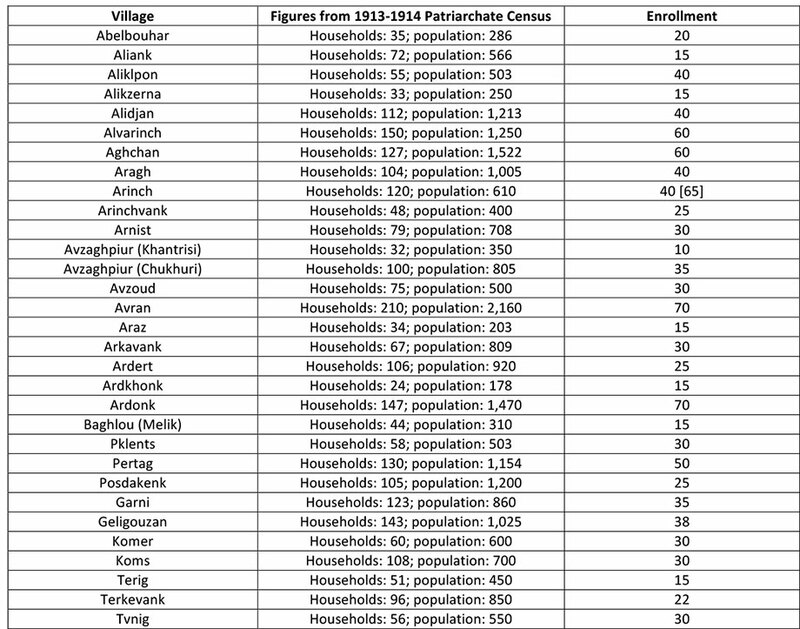 According to a census conducted by the Armenian Patriarchate, in 1913-1914, schools were operating in 79 Armenian villages in the Moush Valley (see table 5). Usually, the length of schooling was one to three years. The schoolmaster was often the local priest, and sometimes a graduate of the Moush Central School. The education offered to pupils was elementary, and mostly limited to basic literacy. Sarkis Pteyan, Misag Pteyan, A. Daronetsi (ed. ), Genuine History of Daron [in Armenian], Cairo, published by the Armenian National Fund, 1962, pages 84-90. Shoghig Vosganian, Ուրուագծեր արևմտահայ դպրոցի և մանկավարժական մտքի պատմութեան, Yerevan, 2009, page 300.
 ibid, page 287. Thus, in 1890, The Board of the National Central Committee formulated the “Bylaws of National Schools,” which contained 39 articles and outlined the admission policies, students’ responsibilities, the faculty’s composition and pay, disciplinary guidelines, and additional guidelines related to holidays and examinations. Garo Sassouni, History of the Daron World [in Armenian], Beirut, printed by Sevan, 1956, page 270. Tateos Hagopian, Cities of the historic Armenian [in Armenian], Yerevan, “Hayasdan”, 1987, page 202. S.M. Dzotsigian, Western Armenian World, New York, 1947, page 431. Garo Sassouni, ibid, page 278. Վիճակացոյց գաւառական ազգային վարժարանաց Թուրքիոյ։ Պատրաստեալ յուսումնական խորհրդոյ ազգային կենդրոնական վարչութեան. Book B., 1901-1902, Constantinople, printed by H. Madteossian, 1903, page 9. Sarkis Pteyan, Misag Pteyan, ibid., page 11. Վիճակացոյց գաւառական ազգային վարժարանաց Թուրքիոյ…, page 9. These figures are from Hayg Mardirosian’s dissertation, «Հայաստանի օգնութեան գերմանական միութեան Ֆրանկֆուրտի կոմիտէն և նրա գործունէութիւնն Օսմանեան կայսրութեան հայաշատ վայրերում 1896-1919 թթ.» (page 104). The United Association was created immediately after the 1877-1878 Russo-Turkish War, and was one of many such organizations that had the stated aim of aiding the Armenian population of the Ottoman Empire. Sarkis Pteyan, Misag Pteyan, ibid., page 16. Garo Sassouni, ibid., page 273. Sarkis Pteyan, Misag Pteyan, ibid., page 17. G.V. Melik-Pashayan, “Sahag Movsisian (Pense)”, Badma-Panasiragan Hantes, 1968, #2, page 163. Garo Sassouni, ibid., page 275. Sarkis Pteyan, Misag Pteyan, ibid., page 18. Garo Sassouni, ibid., page 408. Միացեալ ընկերութիւնք հայոց: Վարժարանք: Դպրոցական տարեշրջան 1910-1911, Constantinople, printed by H. Madteosian, 1911, page 10. Shoghig Osganian, ibid. page 308. Հայաստանի և յարակից շրջանների տեղանունների բառարան, volume 3, G-N, Yerevan, YBH Publishing House, 1991, page 893. Garo Sassouni, ibid., page 280. “Pazmaveb”, 1936, August-September, number 8-12, page 221. Garo Sassouni, ibidi. Page 280. Shoghig Osganian, ibid., page 388. Sarkis Pteyan, Misag Pteyan, ibid., page 20. Shagig Osganian, ibid., page 388. Died of typhoid fever on the eve of the Genocide, on April 12, 1915, in Moush. His funeral ceremony could be considered one of the last public gatherings of Armenians in Moush prior to the Genocide. Garo Sassouni, ibid., page 269. Raymond H. Keorkian, Paul B. Paboudjian, Les Arméniens dans l'Empire Ottoman à la veille du Génocide, ARHIS, Paris, 1992, page 485. Three vocational societies operated in Constantinople, in the Samatia, Khaskugh, and Ortakugh neighborhoods. The agricultural school in Moush was opened thanks to the efforts of the Ortakugh Vocational Society. The organization was founded in the May of 1877, with the aim of contributing to the growth of vocational trades in the Armenian provinces of the Ottoman Empire (see Yeprem V. Boghosian, Պատմութիւն հայ մշակութային ընկերութիւններու, Volume 1, Պոլսահայ մշակութային ընկերութիւնները, Mkhitarian Printing House, Vienna, 1957, pages 276-277. Raymond H. Kevorkian, Paul B. Paboudjian, ibid., page 485. Garo Sassuni, ibid., page 270. Garo Sassouni, ibid., page 270. Emma Gosdantian, Karekin Servantsdiants [in Armenian], The Institute of History of the Armenian Republic, Yerevan, 2008, page 39. Sarkis Pteyan, Misag Pteyan, ibid., page 14. Միացեալ ընկերութիւնք հայոց: Վարժարանք: Դպրոցական տարեշրջան 1910-1911…, page 10. Raymond H. Kevorkian, Paul B. Paboudjian, ibid. pages 485-490.